Photos from the production of Charlie St. Cloud feature Zac Efron, Amanda Crew and Ray Liotta. 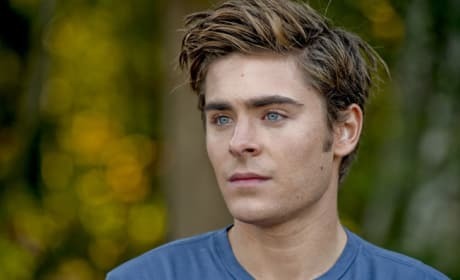 Zac Efron Sees Dead People in New Charlie St. Cloud Trailer! Based on the Ben Sherwood novel. Amanda Crew will star in Charlie St. Cloud. She'll act alongside Zac Efron. Charlie St. Cloud is a young man overcome by grief at the death of his younger brother. So much so that he takes a job as caretaker of the cemetery in which his brother is buried. Charlie has a special lasting bond with his brother though, as he can see him. Charlie meets up with his brother (Sam) each night to play catch and talk. Then, a girl comes into Charlie's life and he must choose between keeping a promise he made to Sam, or going after the girl he loves.